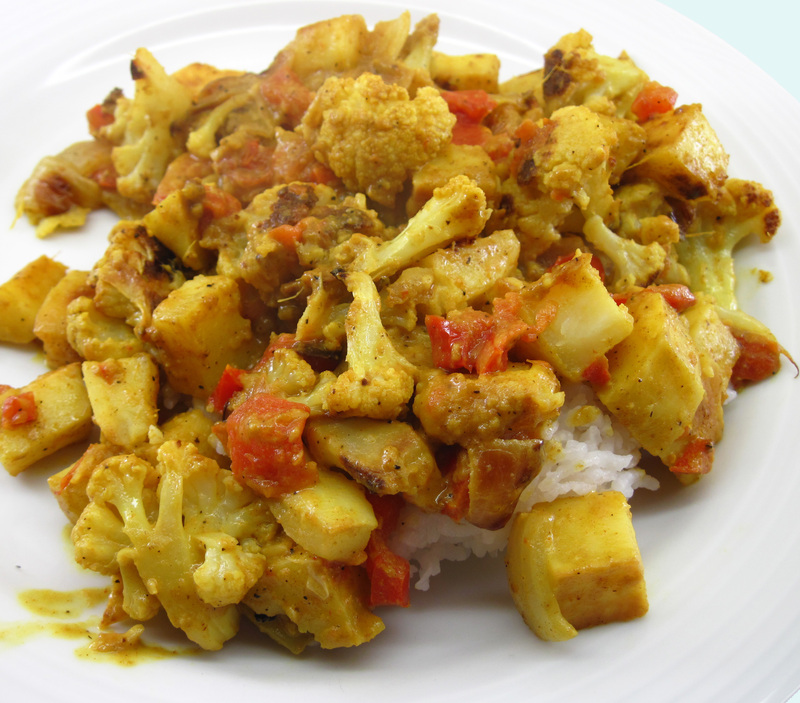 Roasted Vegetable Curry is one of my favorite vegetarian meals. I have made it several times. Bob’s not so fond of it, but then he doesn’t like sweet potatoes which are a major ingredient. 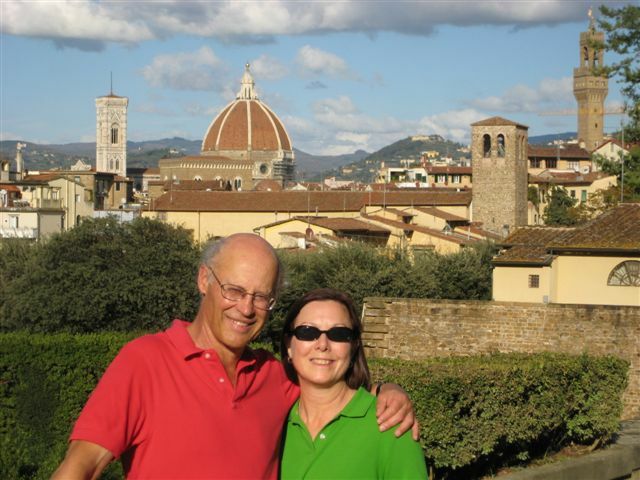 The original recipe is in Moosewood Restaurant Simple Suppers from The Moosewood Collective. The book is a collection of “fresh ideas for the weeknight table”. Every time I make Roasted Vegetable Curry I remind myself that I really should try a few more recipes from the book. When I made it this time, I found it to be a bit too mild for our tastes. The heat of the dish will depend on the curry powder that you use and the one I used was quite mild. Had I tasted the sauce before I mixed it with the vegetables (and why didn’t I do that? ), I would have added more curry powder or maybe a dash of cayenne. If I had been using a particularly hot curry powder, the two tablespoons may have been too much. So consider the 2 tablespoons of curry powder as a suggested amount and adjust it according to your tastes or your curry powder. Give Roasted Vegetable Curry a try if you want an easy vegetarian main dish. Especially if you like sweet potatoes! 1. Preheat the oven to 450˚. Spread a small amount of oil on one large or two small rimmed baking sheets. 2. 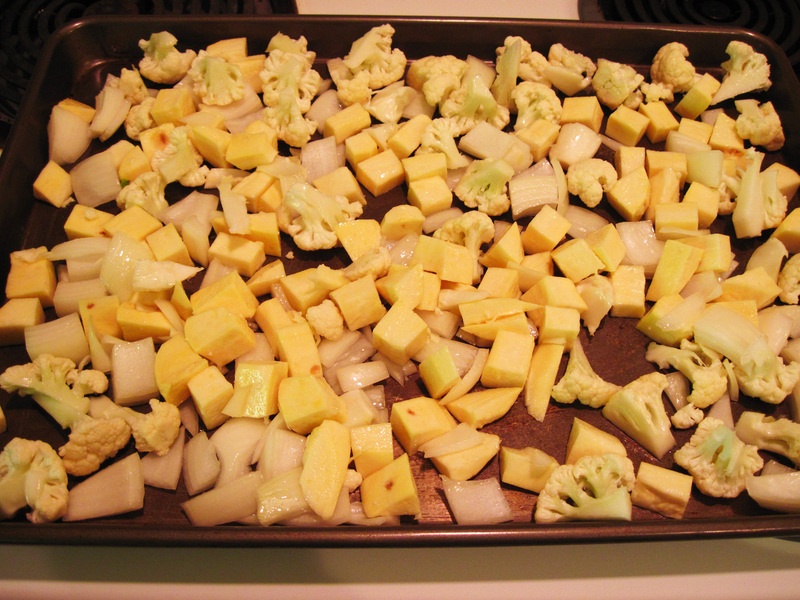 Cut the sweet potatoes into small cubes and cut the cauliflower into small pieces. Put the vegetables in a large bowl with the onions. Toss them all with the oil and ½ teaspoon of salt. 3. Spread the vegetables out in a single layer in the pan(s). Roast for about 20 minutes, stirring once during the roasting time. 4. 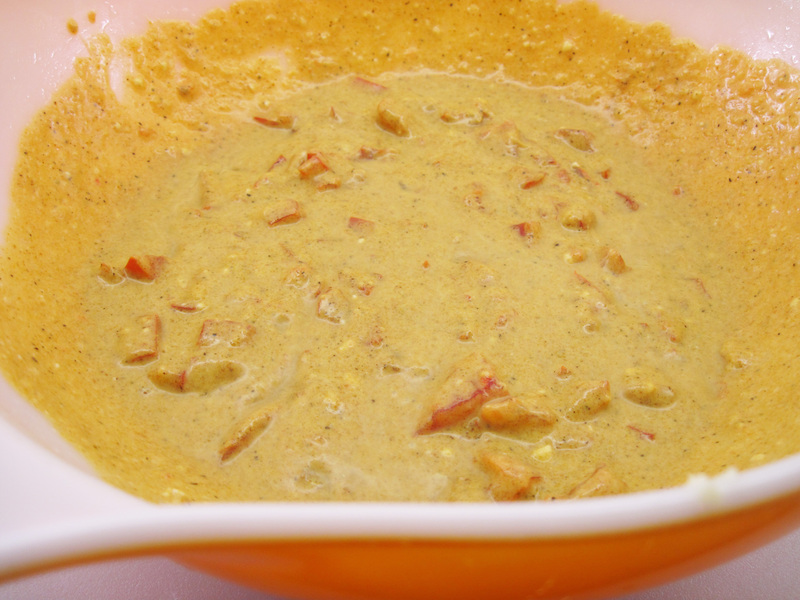 While the vegetables roast, combine all of the curry sauce ingredients in a bowl. Taste and adjust for seasoning. 5. 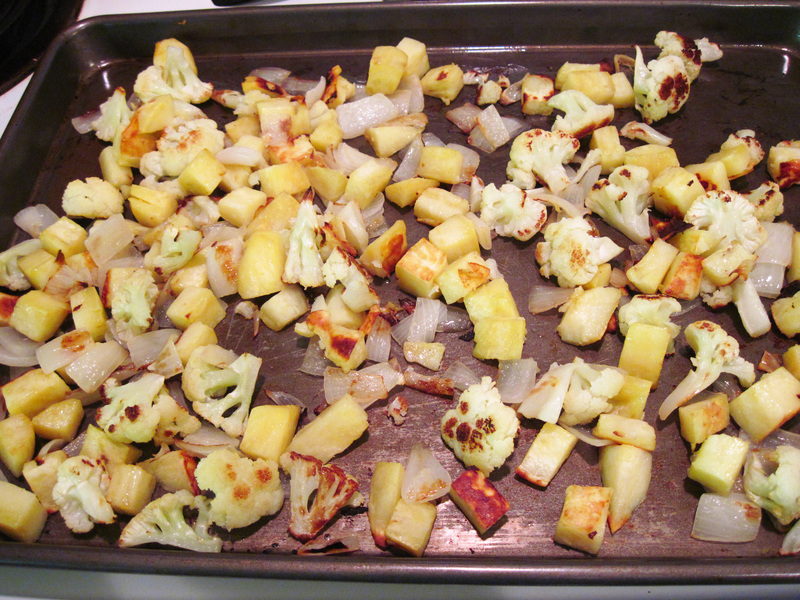 After the vegetables have roasted for about 20 minutes, pour the curry sauce over them. Stir well and roast for an additional 5 minutes or so, until the sauce is hot and the vegetables are tender. 6. Serve over steamed rice with toppings, if desired. I really like the sweet potato with the cauliflower. Hope you like it! I need to make this…just packed with goodies! Thanks! This was delicious! The flavors together are fantastic. The onions were super mellow and the spices were perfect for my taste. Thank you, thank you! I am so glad you liked it, Vikki! It is one of my favorites. What a gorgeous dish. I like Indian food, but Ryan just ADORES it. I can’t wait to try this. He’ll be a very happy man, and I know we’ll both enjoy every last bite.